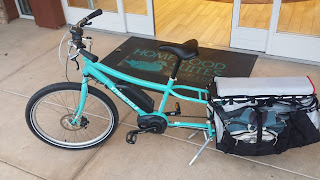 It is not often that I get to review a cargo bike in a near real world setting for more than a few hours. Recently I got the chance to spend the day with a Xtracycle Edgerunner 8e. After toting around kids, equipment and stuff here's my take on this quality machine. 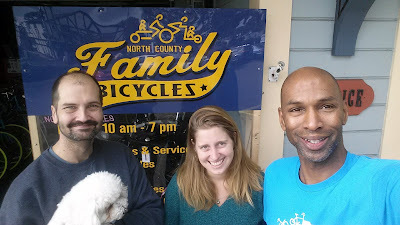 Thanks to Chris and Chelsea at North County Family Bicycles for setting me up with a bike for race day. This shop has great staff and choices like Juiced Bikes, Tern, Yuba and of course Xtracycle. Now on to the Edgerunner 8e. 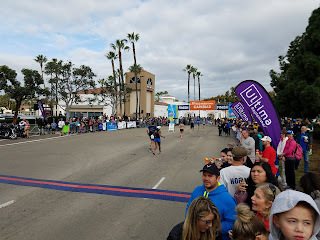 This past January my wife ran a half marathon in the Southern California beach town of Carlsbad. As usual we made it a family affair by taking all three kids who were nine, six and almost four years old. Extra layers of cloths for everyone. My wife's pre and post race layers and gear. This list has become so much shorter now that none of the children are babies. Xtracycle makes longtail bicycles. Longtails carry the majority of their loads behind the rider. Decoding the name Edgerunner 8e reveals the bike has an eight cog rear cassette and Bosch mid-drive electric assist model system thus 8e. The unit I had is part of a rental fleet so it was relatively spartan in accessories compared to what is available from the manufacturer. The ones it did have were welcomed. The standard two legged kickstand. Rear deck and the accompanying Magic Carpet. From a rider's perspective it feels like riding any other city bike. The top tube is not the lowest but provides easy step over for my 6'2" frame. Handle bars are slightly swept back. The grips are well cushioned with a flat palm section near the ends. All combined, this makes for a comfortable upright riding position. The brake levers, gear shifter and e-assist controls are well placed. Riders can access everything and keep their eyes on the road. Saddles are obviously an important part of the riding experience. 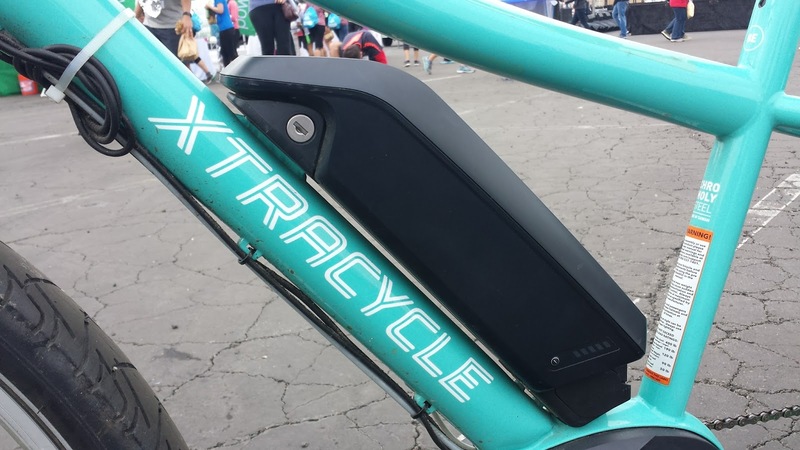 The Xtracyle branded unit didn't disappoint. I offered a nice balance between sporty and comfort. My day's hauling responsibility consisted of putting my nine and six year old on the back of the Edgerunner. In the side bags we had a backpack with my wife's pre and post race clothes, a leg massager, water bottles and protein bars. There was one extra helmet as my little one hung out with grandma instead of riding with us. If the rental unit would have had a Hooptie install I would have felt more comfortable putting the three year old in between the older kids. 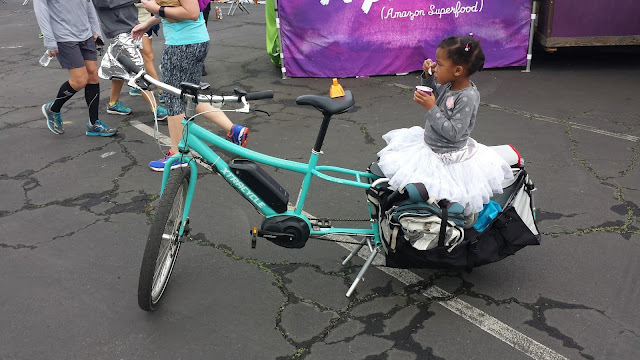 When I picked up the bike I also got a kids bike for my oldest child to ride. 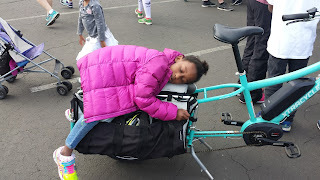 The CarryAll side bag swallowed the front tire of the kid's bike. The included straps cinched for a secure fit. The bike tracked so well on my ride from the bike shop to our hotel you I almost for got it was there. A grocery run for a family of five (six to seven full grocery bags) is well within the capacity of the this longtail. Zipping around a marathon course with two kids is no small feat. Bosch delivers smooth and substantial wind in your sails with their 350w mid-drive e-assist. Electric assist does just that. There is no throttle. The computer senses how hard you are working and magically lightens the load. 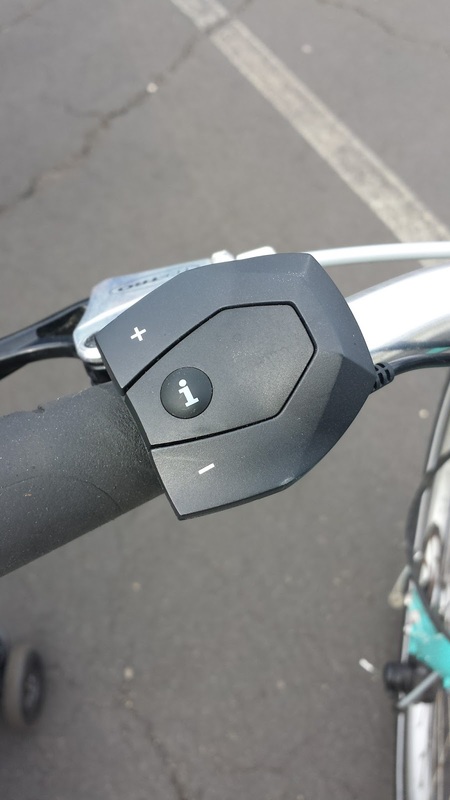 You do have controls increase or decrease the amount of assist the motor provides. Starting the day with 80% battery life on this 400w 11Ah unit was just enough to return to the bike shop with the help I wanted when I wanted it. 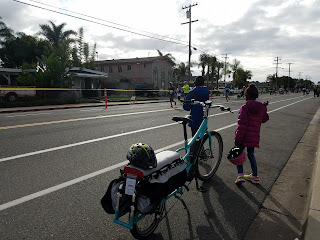 I probably covered about 20 miles of hills and flat terrain with kids and gear. I was able to break twenty miles per hour while towing a 2nd bike up a slight grade. In normal riding it was more about not breaking a sweat going up hill with kids and gear on board. My previous Marathon SAG vehicle was a longjohn so I was excited to put 8e through race day paces and see how this longtail compared. Maneuvering and storing the bike was easy. Since it is no wider and only a bit longer than a standard bike there was no problem moving through crowds or hotel corridors. If you have them you know kids will eventually get the wiggles. Putting siblings on the back of a bike together is a real test of it's stability. The Edgerunner didn't fail to impress. At a standstill the kickstand was a rock. Getting underway from a parked position with a load did prove to be a slight challenge. The kickstand took a bit more effort than expect to rock forward and flip up. Braking is a confidence building endeavour. 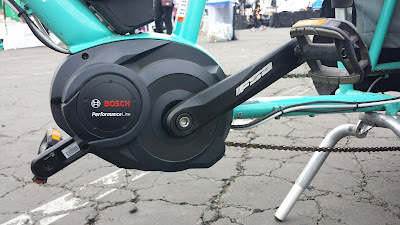 Front and rear mechanical disc brakes felts solid. Whether I was bombing down a hill solo or loaded with kids and stuff, I always stopped when I wanted. Having the Xtracycle Edgerunner 8e was a great 1st in depth experience with a longtail. Longtails are a great choice if you want a cargo bike that behaves most like a traditional bike and carry all your people & stuff behind you. Unless you prefer having your very small kids in front of you or your typical loads require a low CG this may be the bike for you. 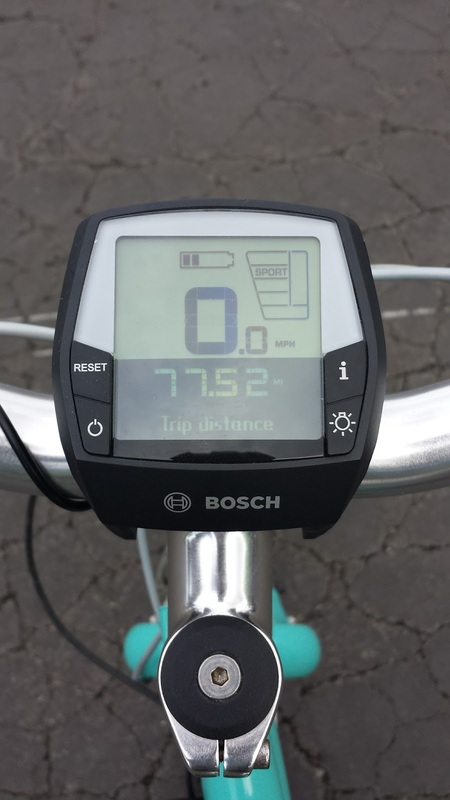 The Bosch mid-drive electric assist only adds to the utility of this bike. With an electric motor you truly have a car replacement option for almost any task within a fifteen mile radius. Thank you as well to Homewood Suites in Carlsbad, CA for the secure indoor bike parking!